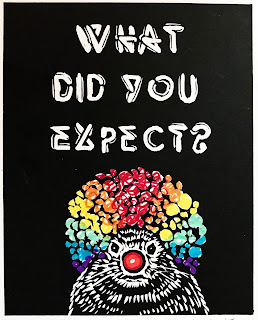 Words on Woodcuts: "Groundhog Day 2019"
It's Groundhog Day again, and that means time for my annual Groundhog Day card. As is evident from the previous designs, I either get a little odd or a bit sentimental. 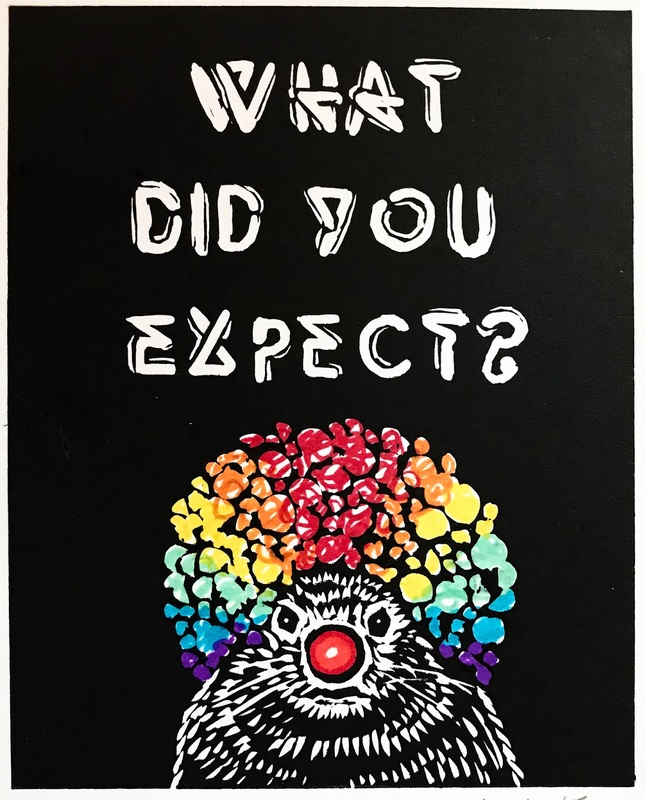 This is the first year I added some color (hand color with Prismacolor markers) to the card, and I did so for what I think are obvious reasons. I love making cards for this holiday because January is a quiet, contemplative month after the hustle and bustle of the holidays is over, and it's still too cold and dark to spend much time outside. I also love the silliness of the holiday. It's one of those low-pressure events that opens itself up for us to make what we want of it. I'm not sure what to expect from Groundhog Day. But I fear that if I and others make nothing of it, it will fade away from our collective cares.